Chances are, you do everything you can to attract more traffic to your affiliate website. Organic traffic is one of the greatest ways to bring in new leads, and it’s most commonly received from search engines. Without a solid presence on search engines, you could be missing out on a profitable opportunity. An effective way to increase traffic (and boost the odds of a successful affiliate business) is with Search Engine Optimization (SEO). This process can help you rank more prominently on Search Engine Results Pages (SERPs), increase sales, and generate leads. 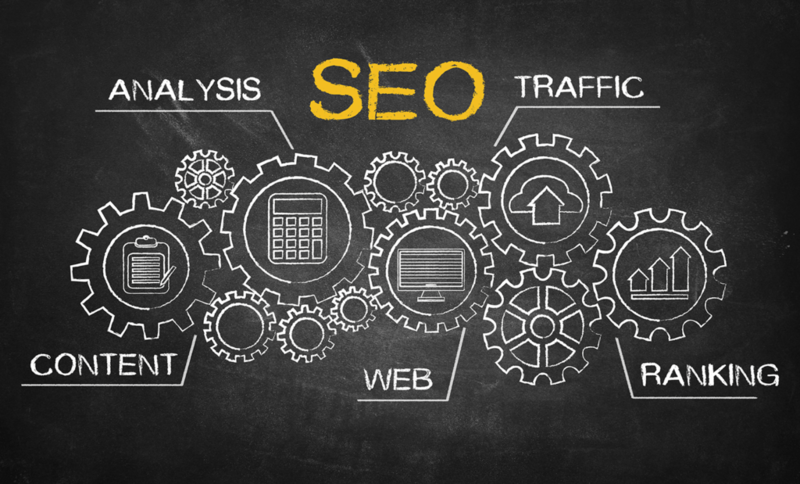 In this post, we’ll discuss the importance of SEO for your affiliate website. We’ll then share a few powerful site optimization tools – including Pretty Links and Yoast SEO – and explain how to use them to increase your SERP rankings. Let’s get started! As the main way traffic finds you, a high ranking on SERPs is crucial. Boost your site’s (and business’) credibility. Expand your reach, enabling you to draw in more leads. Considering that most people don’t go beyond the first five results on a SERP, it’s absolutely crucial that you increase your ranking. This will not only put your business in front of your targeted traffic, but it can also help you to beat out competition and become a leader in your industry. There are a number of optimization techniques you can perform yourself on your website. However, many tools have also been created to make the process easier. Below are four such tools, as well as how they can help you. Let’s dive in! Pretty Links is a link management plugin that enables you to shorten and cloak your affiliate links. The main SEO benefit of Pretty Links is the ability to ‘brand’ your links. Proper branding can improve your ranks, as more people will visit your website. Additionally, shortened links are easier to share; this means your followers will be more likely to share your links and increase your reach. Of course, the key features of Pretty Links include the ability to shorten and cloak your links. However, you can also track link clicks, and even use the plugin to track affiliate conversions. Pretty Links starts at just $57 per year, and this includes one year of professional support and plugin updates. For $97 per year, you can also get access to advanced add-ons. A multi-purpose plugin that secures and optimizes your website, Jetpack is a creation of Automattic (the developers of WordPress). With Jetpack installed, you can track site analytics, incorporate automatic sharing, and optimize your site for the most popular search engines and social media platforms (including Google, Yahoo!, and Facebook). The free version of the plugin includes search engine site verification and XML sitemaps. However, for $3.50 per month, you also get access to search engine previews, custom meta descriptions, and custom titles. DeepCrawl is software that enables you to monitor site health, improve user experience, and analyze your competitors. You can set up search engine crawls, improve your site’s structure, and even see what your competitors are doing better. This combination enables you to improve your website, both for visitors and search engines. DeepCrawl begins at $79 per month. This includes access to all features, as well as comprehensive user guides and email support. While this seems like a steep investment, you can test out the product’s features before purchase with a risk-free trial. Perhaps one of the best known SEO tools available is Yoast SEO. It includes numerous in-built functions, such as page analysis (for keywords and format), meta description optimization, and XML sitemaps. With Yoast SEO, you know exactly what you need to do to improve your pages and posts for search engines. For example, Yoast SEO helps you incorporate your keywords more intuitively (a major factor in SERP rankings). The basic plugin is free, and it includes page analysis and meta data. For $73, you get access to all basic features with improved functionality – such as content insights and 24/7 support. A presence on SERPs is crucial to bringing quality traffic to your website, as a minimum of 75% of traffic goes to sites on the first page of results. It’s also one of the most effective ways of establishing yourself as a credible business and increasing your affiliate marketing income (by bringing in more natural leads). Pretty Links: Our own link management plugin that enables you to brand, shorten, cloak, and track your links. Jetpack: A multi-purpose plugin that tracks site analytics and optimizes your appearance (such as meta data and titles) on search engines. DeepCrawl: Software that incorporates site monitoring and analysis to ensure you’re ahead of your competitors on SERPs. Yoast SEO: A popular plugin that makes the technical aspects of SERP rankings (such as XML sitemaps and page analysis) simple.